Chronic prostatitis/chronic pelvic pain syndrome (CP/CPPS) affects approximately 2 percent to 10 percent of adult men and causes chronic pelvic pain, in addition to urinary and sexual problems. Once thought to be caused by an infection, that is no longer the case. An exact cause, however, is not known, and diagnosis of CP/CPPS can be challenging, as many other health conditions share its symptoms. With CP/CPPS, a person usually experiences episodes or flares of pain over many months. The upside is that the severity and number of pain episodes tend to decrease over time. It's unclear what causes CP/CPPS syndrome in men. While a bacterial infection of the prostate used to be the suspected culprit, most experts now believe that CP/CPPS is a non-infectious syndrome. The theory that CP/CPPS does not stem from an infection is supported by research that has found no evidence of bacteria in prostate tissue in affected individuals. More specifically, many experts believe that an event (like one of the above) triggers a phenomenon called central sensitization. This then leads to persistent neuropathic pain, similar to what is seen in other chronic pain conditions like fibromyalgia and irritable bowel syndrome. Due to the fact that CP/CPPS is a diagnosis of exclusion, meaning other health problems need to be ruled out first, a thorough medical history and physical examination is an essential first step. In addition to a history and physical examination, laboratory tests are also performed, such as a urinalysis and urine culture. Depending on a person's unique symptoms, a prostate-specific antigen (PSA) blood test, urine cytology, urethral discharge culture, and a complete blood count (CBC) may be performed. Various imaging tests may also be warranted, again based on a person's individual symptoms. For example, if a man has blood in his urine, a cystoscopy to exclude bladder cancer will likely be performed. Likewise, testicular pain warrants a scrotal ultrasound and lower abdominal pain often warrants a computed tomography (CT) scan of the abdomen and pelvis. The treatment of CP/CPPS usually begins with a combination of three medications: an antibiotic, an alpha-blocker like Flomax (tamsulosin), and a pain medication, like Tylenol (acetaminophen) or a nonsteroidal anti-inflammatory (NSAID). Sometimes, a medication to treat nerve pain like Lyrica (pregabalin) is also prescribed. In addition, research suggests that cognitive-behavioral therapy can help relieve the symptoms of CP/CPPS, especially pain, urinary problems, and depression. Cognitive-behavioral therapy has also been found to improve a man's overall quality of life. Lastly, pelvic physical therapy to achieve myofascial trigger point release may be useful for men who experience pelvic pain related to pelvic floor muscle spasm. In the end, CP/CPPS is a complex disease and getting it diagnosed can be a lengthy, tricky process. Once diagnosed, most people benefit from a multifaceted treatment program (one that includes both medication and non-medication treatments), but getting there can be a windy, bumpy road. Remain persistent and proactive in your care, and consider engaging several different healthcare practitioners (who ideally work in concert) to find relief. Franco JV, Turk T, Jung JH, Xiao YT, Iakhno S, Garrote V, Vietto V. Non-pharmacological Interventions for Treating Chronic Prostatitis/Chronic Pelvic Pain Syndrome. Cochrane Database Syst Rev. 2018 Jan 26;1:CD012551. Holt JD, Garrett A, McCurry TK. 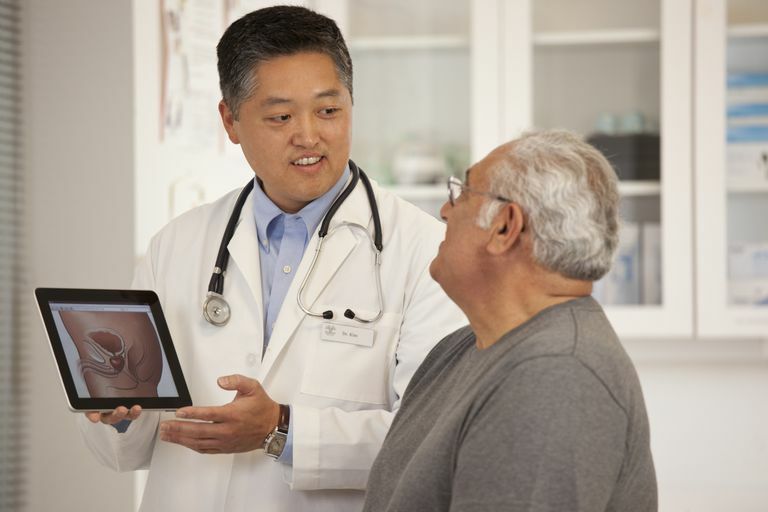 Common Questions About Chronic Prostatitis. Am Fam Physician. 2016 Feb 15;93(4):290-96. Nickel JC, Mullins C, Tripp DA. Development of an Evidence-based Cognitive-Behavioral Treatment Program for Men With Chronic Prostatitis/Chronic Pelvic Pain Syndrome. World J Urol. 2008 Apr;26(2):167-72. Pontari M. (2018). Chronic Prostatitis and Chronic Pelvic Pain Syndrome. O'Leary MP, ed. UpToDate. Waltham, MA: UpToDate Inc.